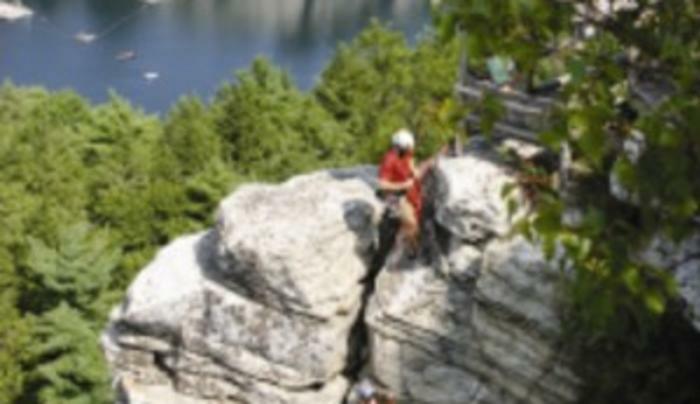 A little over an hour from the sky scrapers of NYC and awaits a great day hike around Mohonk Mountain (Shawangunk). 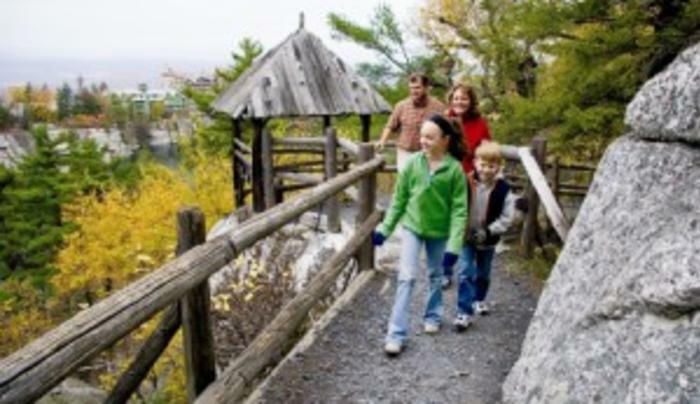 Sitting in the middle of a vast estate, the Mohonk Mountain House is surrounded by hiking trails. 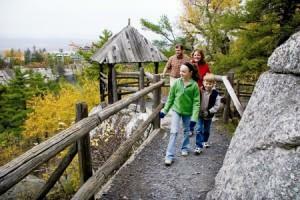 While there are many noteworthy trails on the estate, the Labyrinth trail is one of the most popular for good reason. 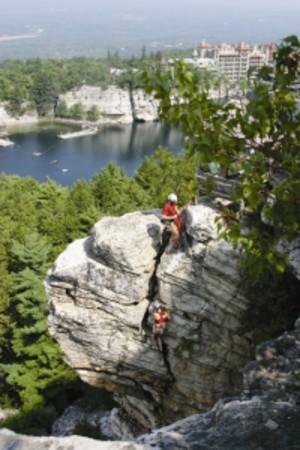 It packed full of climbing ladders and crevices that you have crawl through. Additionally there the views of the surrounding area are great, especially from the Skytop Tower which the Labyrinth trail brings you too. We hiked to and from the parking lot but If you want to jump straight into the Labyrinth, there is a shuttle from the parking to the Mountain House which brings you near the start of the Labyrinth. Upon entry (and paying your hiking pass fee), you are provided with a detailed map.